LOCAL AUTHORITIES HAVE suspended more than 350 applicants for social housing from their waiting lists for refusing more than one offer of a home in the past three years. Those who are suspended are not offered another home by their local authority and are not considered to be ‘waiting’ during that time, with applicants who wait the longest amount of time given priority by their council. Focus Ireland advocacy manager Roughan Mac Namara suggests that problems with a specific neighbourhood, such as drugs or antisocial behaviour, often leads to a reluctance among families to move there and is the most common reason for refusal. However, he also says there are many cases where people turn down homes that are also unsuitable to their needs, such as properties in locations without bus routes when they have no means of transport, or areas with few facilities such as schools or shops. “There may be some cases where people are refusing for reasons that don’t really stand up, but in our experience these would be the minority,” he tells TheJournal.ie. According to the figures, obtained under the Freedom of Information Act, 370 housing applicants turned down multiple offers since 2016 – around 7% of the total number of those to have refused. Donegal County Council saw the highest number of applicants turn down an offer more than once, with 129 multiple refusals from 61 applicants since 2016. Donegal County Council also had the joint-highest number of suspensions during the period, alongside Dun Laoghaire-Rathdown County Council, with 70 applicants suspended each. Six local authorities – Clare County Council, Dublin City Council, Fingal County Council, Galway County Council, Laois County Council – had no data on multiple refusals or suspensions during the period requested. Information was not supplied from a further three local authorities: Cavan County Council, Offaly County Council and Waterford City and County Council. It comes amid changes being considered by Minister for Housing Eoghan Murphy to introduce tougher sanctions for those who turn down multiple offers for housing. Murphy is mulling the introduction of a new policy that will see those who refuse more than one offer within a twelve-month period suspended from their local authority waiting list for five years. A spokeswoman for the Department of Housing said the changes had been considered in consultation with local authorities, and would form a wider reform of social housing. 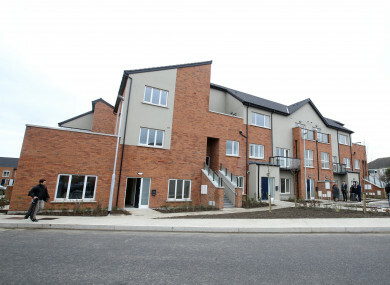 “It has become apparent that the current twelve-month sanction regime is not a sufficient deterrent to households on the waiting list to stop turning down reasonable housing offers,” the spokeswoman said. The Department said that the refusal of multiple offers can have a “serious impact” on the administrative process of local authorities by prolonging periods of re-letting, leading to losses in rental revenue and an inefficient use of staff time. “It must be remembered that the offers of tenancy being made to qualified households are the types that the household had asked for in the areas of their preferred choice,” the spokeswoman added. Email “Hundreds suspended from housing lists for refusing multiple offers”. Feedback on “Hundreds suspended from housing lists for refusing multiple offers”.